. TPO Roof Installers | Roof Repair Houston | Anchor Roofing Inc.
Let’s face the fact in the world of TPO, there are two types of installers. The first is a certified applicator typically approved by a major manufacturer such as Carlise – Syntec and Firestone, as well as John Mansville, to name the big 3. These certified applicators can get long term total system NDL (No Dollar Limit) warranties with terms of 10 to 30 years for the total system and whose work is inspected by a manufacturer’s inspector prior to issueance of warranty. Then there are applicators / installers that come from all walks of life and claim to know how to install TPO, however they often lack knowledge of applicable building codes, and manufacturers actual warranty installation protocol. Just because you can operate a robot welder and a hand welder doesn’t mean you are a TPO installer. In equivalent that’s like saying that just because you can turn wrench that you are a mechanic. In similar comparison the difference between a certified TPO applicator and a so called installer, is like the difference in comparing a shade tree mechanic with a ASE certified and trained mechanic. 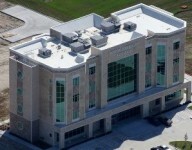 Thermoplastic Poly-Olefin or TPO is a roofing membrane that is utilized in both residential and commercial structures. This single ply roofing membrane that comes in sizes ranging from 45mils to 135mils, typically anything over 80mils is a Fleecebackes product and the fleeceback itself is 55mils, so a 115mil fleeceback TPO is actually a 60mil TPO reinforced membrane with a 55 mil fleecebacking for better adhesion, durability, and wind uplift rating. One thing about fleeceback and TPO installers is that fleeceback TPO has only been on the market a fraction of the time that regular reinforced TPO has, so you will not find a TPO installer who can say, “I’ve been installing installing fleeceback for the last 10 years”, it is just not possible. Based on the facts this roofing membrane is not as dense as modified, nor does it contain asphalt it is by far the most environmentally friendly low sloped roof, it’s light in weight and flexible as well. This is very durable material that will stand the test of time in the worst weather conditions. TPO roofing membrane is made up of a few different materials such as polymer, polyethylene, rubber, polypropylene, BCPP and a reinforcement filler. This roofing membrane has set off a trend in the construction industry because this membrane remains flexible similar to EPDM and has weldable seams which are similar to PVC. Another benefit to hiring TPO roof installers is that most of the time this material is white which helps to save a good amount on your energy expenses and enables qualifying building owners for a tax write off between 60 cents a square foot all the way up to $1.80 a square foot installed, depending on the improvement in the buildings envelope efficiency. There were a few struggles with TPO roof installers when the first formulations of this roofing material. Which is pretty expected with new materials. (This also happened with PVC Membrane) Once these issues were tackled, TPO became the ideal roofing material across America and other countries. Somne of the most popular providers of long lasting TPO roofing membrane are Versico / Carlisle, Firestone, and John Mansville whom have gained the trust of consumers worldwide with a long track record of membranes that perform as intended, and rarely ever have any warranty claims. If you have a chance to chat with TPO roof installers, you’ll learn that there are extremely effective with flat roof structures. This type of roofing system provides many benefits in a commercial flat roofing application. TPO roofing systems offer the least amount of shrinkage which will help you to keep that watertight seal. Speaking of water, TPO roofing is also a source of clean runoff of rain water. Regardless of whether you are building a new home or repairing an old roof, this material is ideal for both settings. The fact that TPO is extremely lightweight yet extremely durable makes it a construction worker’s dream. This material is not prone to tearing, does not easily puncture; however I would not recommend using less than 60mils, it is easy to repair, and depending on how it is installed it can handle very harsh wind conditions, there are TPO roof systems availble that have been tested by FM Global and approved to be able to withstand over 200MPH peak wind gust. Another thing that you should know about the TPO roofing process is that these materials come in a variety of widths with wide sheets available, with less seams which can equals less labor. 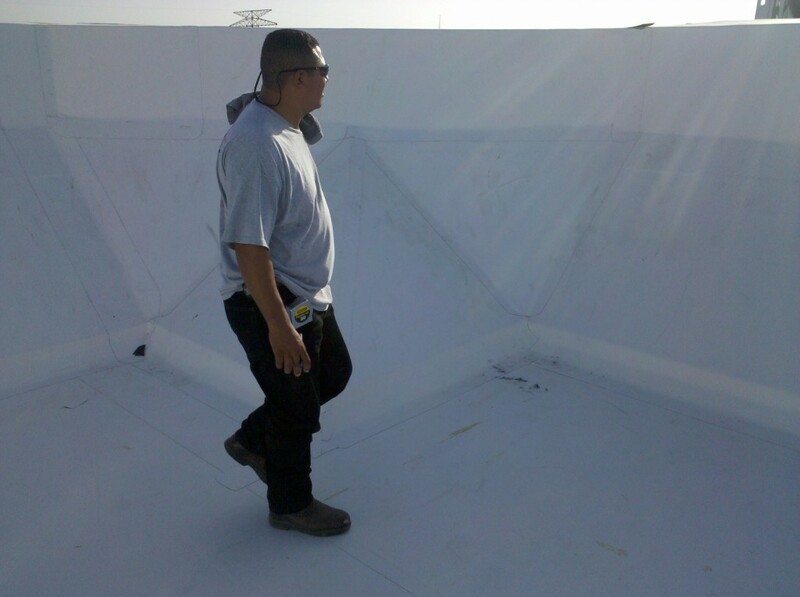 When compared to the various other materials available to you, TPO roof systems can be installed with less labor and is extremely practical for new or renovated structures. TPO was first formulated by General Motors as a substitute material for car dash boads as the dashboards that were made out out of PVC became notorious for cracking from UV exposure. Implementing TPO in to the manufacturing process of car dash boards helped to eliminate the issue of cracking. It is interesting that TPO started in the auto industry first and then made it to the roofing industry where it now claims the largest share of the low sloped single ply industry.